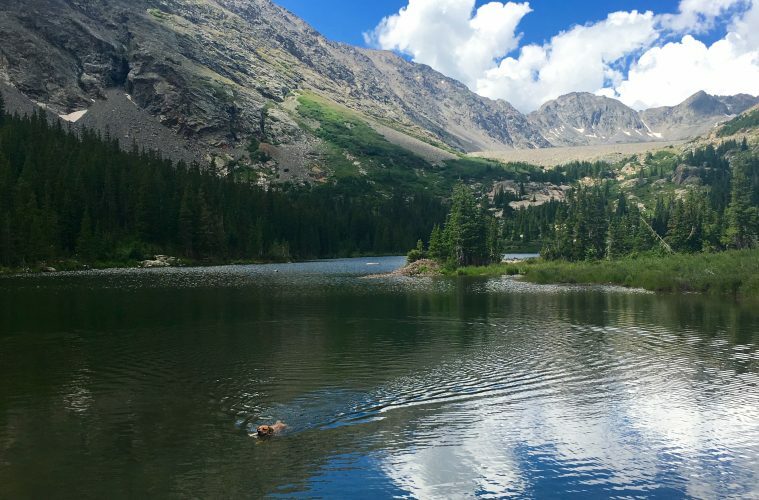 Just outside of the town of Breckenridge live the stunning Blue Lakes, two gorgeous mountain lakes on the far side of Quandary. It’s the perfect spot to go on a picnic or do a quick car camping trip. There’s a moderate 1.8 mile hike up to the waterfall between the two lakes, and the trail takes you right up to the edge for some seriously stunning views. As a plus, dogs are allowed so you can bring Fido along for some fetch (in or out of the lake).